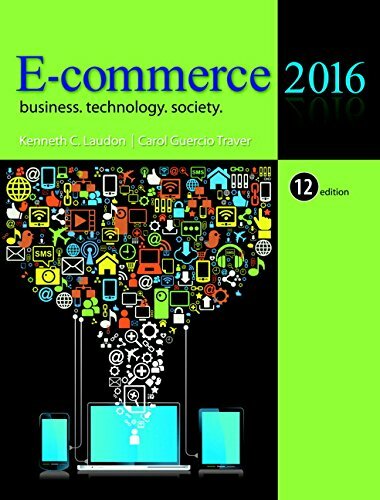 9780133507164 | 11 edition (Prentice Hall, December 5, 2014), cover price $248.40 | About this edition: E-Commerce 2015 is intended for use in undergraduate and graduate e-commerce courses in any business discipline. 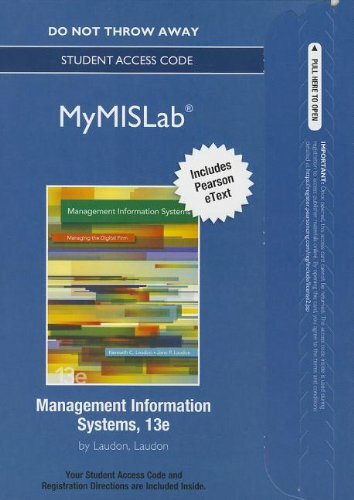 9780134325187 | 12 psc edition (Prentice Hall, January 13, 2016), cover price $109.07 | About this edition: MyMISLab with Pearson eText -- Access Card -- for Essentials of MIS 12th Edition By Kenneth C.
9780133806885 | 11 pck pap edition (Prentice Hall, April 20, 2014), cover price $270.60 | About this edition: ALERT:Â¿Before you purchase, check with your instructor or review your course syllabus to ensure that youÂ¿select the correct ISBN. 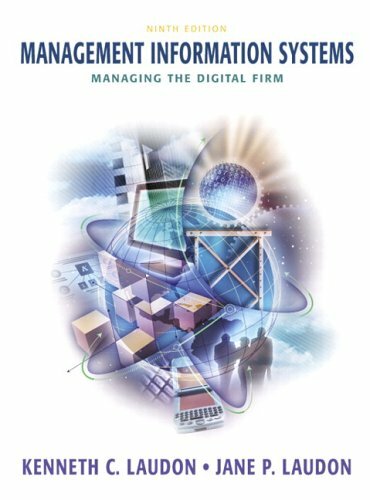 Product Description: This comprehensive, market-leading text emphasizes the three major driving forces behind e-commerceâtechnology change, business development, and social issuesâto provide a coherent conceptual framework for understanding the field. 9780133024449 | 10th edition (Prentice Hall, November 21, 2013), cover price $261.00 | About this edition: This comprehensive, market-leading text emphasizes the three major driving forces behind e-commerceâtechnology change, business development, and social issuesâto provide a coherent conceptual framework for understanding the field. 9780133544985 | Prentice Hall, October 1, 2013, cover price $204.40 | About this edition: Based on the authors' market-leading E-Commerce. 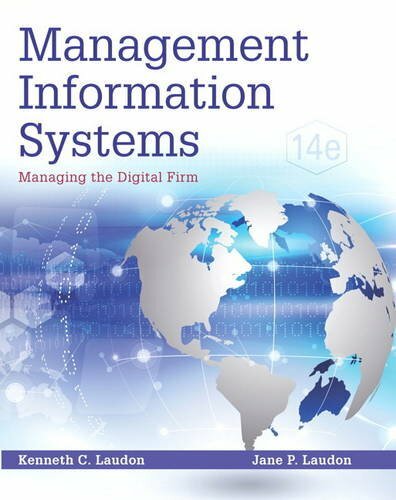 Product Description: Â¿ This comprehensive, market-leading text emphasizes the three major driving forces behind e-commerceâtechnology change, business development, and social issuesâto provide a coherent conceptual framework for understanding the field. 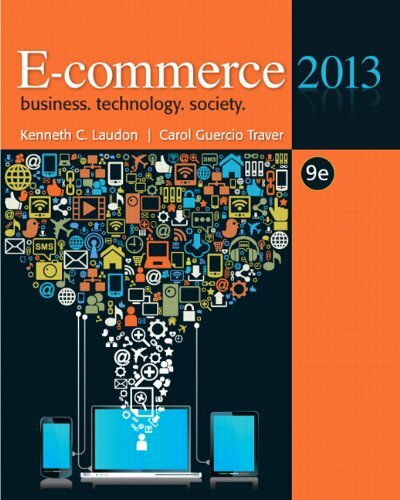 9780132730358 | 9 edition (Prentice Hall, November 20, 2012), cover price $245.80 | About this edition: Â¿ This comprehensive, market-leading text emphasizes the three major driving forces behind e-commerceâtechnology change, business development, and social issuesâto provide a coherent conceptual framework for understanding the field. 9780134473703 | 12 pck pap edition (Prentice Hall, January 13, 2016), cover price $270.60 | About this edition: NOTE: Before purchasing, check with your instructor to ensure you select the correct ISBN. 9780133033090 | 10 pck pap edition (Prentice Hall, July 11, 2012), cover price $257.13 | About this edition: ALERT:Â Before you purchase, check with your instructor or review your course syllabus to ensure that youÂ select the correct ISBN. 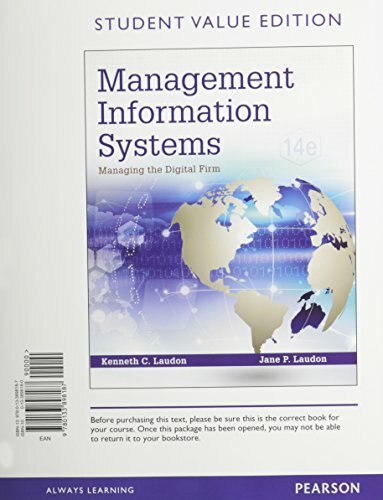 9780132668651, titled "Essentials of Management Information Systems: Student Value Edition" | 10 unbnd s edition (Prentice Hall, January 18, 2012), cover price $167.40 | About this edition: An in-depth look at how today's businesses use information technologies. 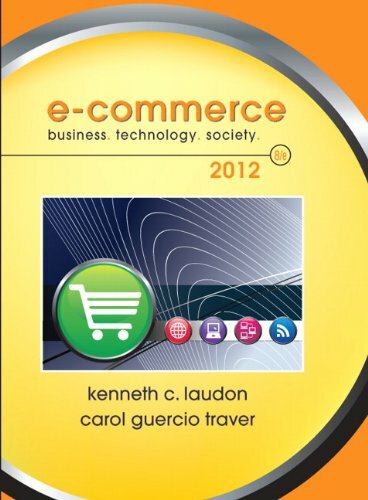 9780138018818 | 8 edition (Prentice Hall, November 26, 2011), cover price $210.60 | About this edition: This comprehensive, market-leading text emphasizes the three major driving forces behind e-commerceâtechnology change, business development, and social issuesâto provide a coherent conceptual framework for understanding the field. 9780136100577 | 6 edition (Prentice Hall, November 3, 2009), cover price $197.33 | About this edition: This comprehensive, market-leading text emphasizes the three major driving forces behind e-commerceâtechnology change, business development, and social issuesâto provide a coherent conceptual framework for understanding the field. 9780133130782 | 13 pck har edition (Prentice Hall, April 24, 2013), cover price $294.27 | About this edition: Directed primarily toward undergraduate CIS/MIS college/university majors, this text also provides practical content to current and aspiring industry professionals. 9780133050691 | 13 edition (Prentice Hall, January 4, 2013), cover price $287.60 | About this edition: Directed primarily toward undergraduate CIS/MIS college/university majors, this text also provides practical content to current and aspiring industry professionals. 9780132142854 | 12 edition (Prentice Hall, January 4, 2011), cover price $264.00 | About this edition: Management Information Systems provides comprehensive and integrative coverage of essential new technologies, information system applications, and their impact on business models and managerial decision-making in an exciting and interactive manner. 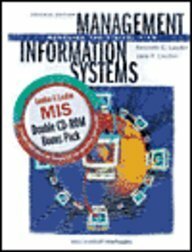 9780132337748 | 10 har/cdr edition (Prentice Hall, February 27, 2007), cover price $192.67 | About this edition: For sophmore, junior, senior, and MBA-level MIS and Information Systems courses. 9780133050776 | 13 unbnd s edition (Prentice Hall, January 10, 2013), cover price $195.60 | About this edition: Directed primarily toward undergraduate CIS/MIS college/university majors, this text also provides practical content to current and aspiring industry professionals. 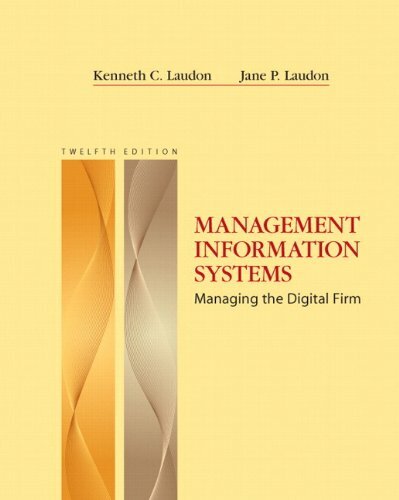 9780136078944 | 11 unbnd s edition (Prentice Hall, January 8, 2009), cover price $142.20 | About this edition: Management Information Systems, Student Value Edition 11th Edition. 9780136007111 | 5th edition (Prentice Hall, November 4, 2008), cover price $189.00 | About this edition: This comprehensive, market-leading text emphasizes the three major driving forces behind e-commerce to provide a coherent conceptual framework for understanding the field: technology change, business development, and social issues. 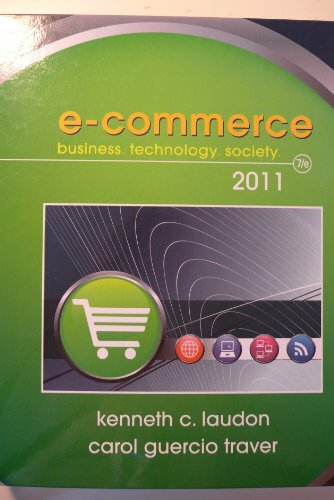 9780131735163 | 3 edition (Prentice Hall, March 24, 2006), cover price $151.20 | About this edition: This comprehensive, market-leading text emphasizes the three major driving forces behind e-commerce: technology change, business development, and social controversies. 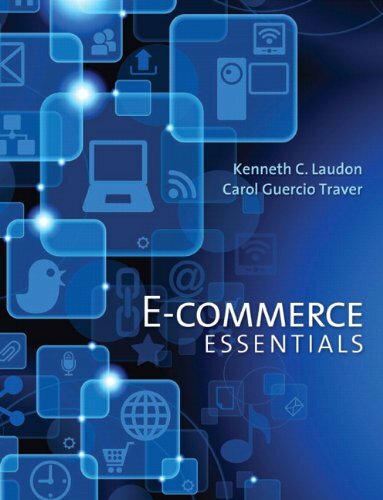 9780321269379 | 2 pck edition (Prentice Hall, May 10, 2004), cover price $164.00 | About this edition: Comprehensive, market-leading text designed for undergraduate and graduate business school students, this book emphasizes the three major driving forces behind e-commerce: technology change, business development, and social controversies. 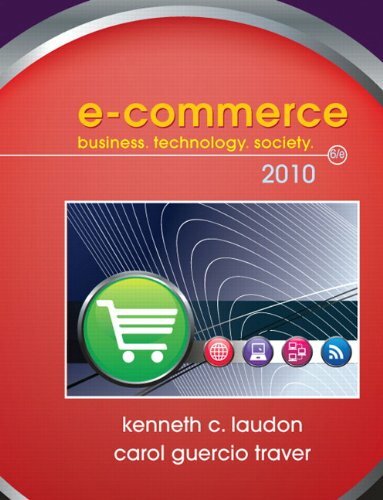 9780321200563, titled "E-Commerce: Business. Technology. Society." | 2nd pkg edition (Addison-Wesley, August 1, 2003), cover price $101.00 | About this edition: E-Commerce: business, technology, society. 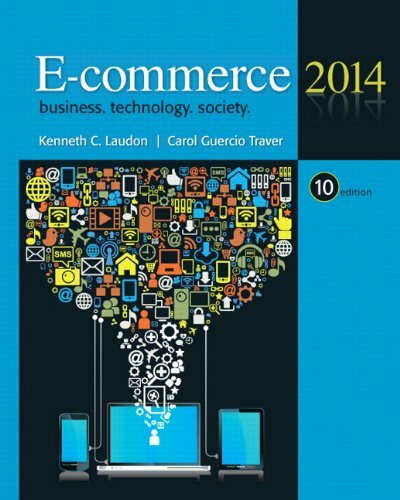 9780321122025, titled "E-Commerce: Business Technology Society" | Package edition (Addison-Wesley, July 1, 2002), cover price $100.33 | About this edition: This book provides an overview of the current and next generations of e-commerce. 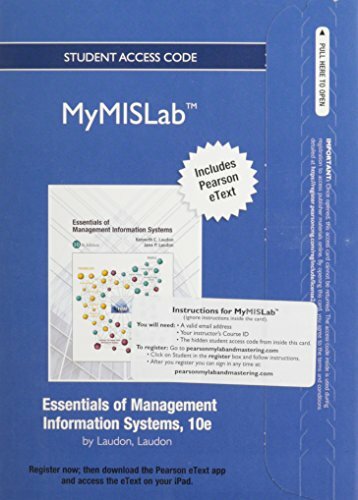 Product Description: For sophomore, junior, senior, and MBA-level MIS and Information Systems courses. 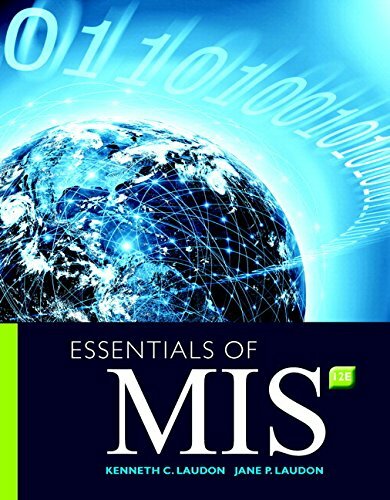 These authoritative authors continue to define the MIS course by integrating coverage of essential new technologies, their applications, and their impact on managerial decisions. 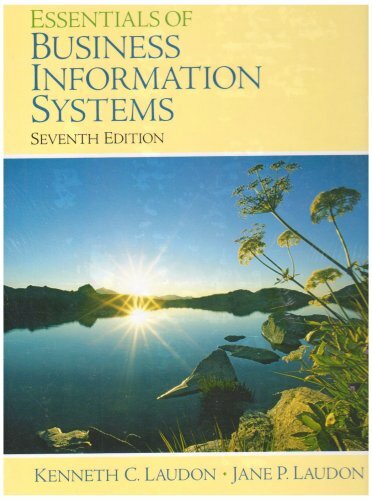 9780131694552 | 9 har/com edition (Prentice Hall, October 19, 2005), cover price $173.33 | About this edition: For sophomore, junior, senior, and MBA-level MIS and Information Systems courses. 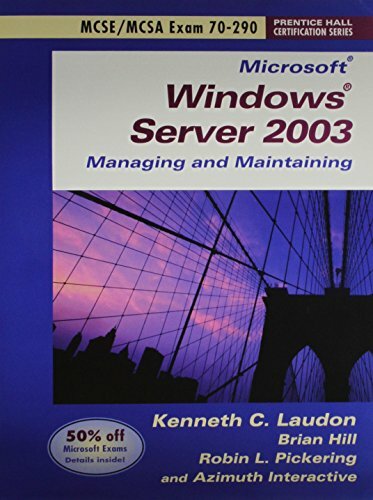 9780131893207 | Pearson College Div, March 3, 2005, cover price $34.67 | About this edition: For courses focusing on Windows Server 2003 and MCSE/MSCA Certification. 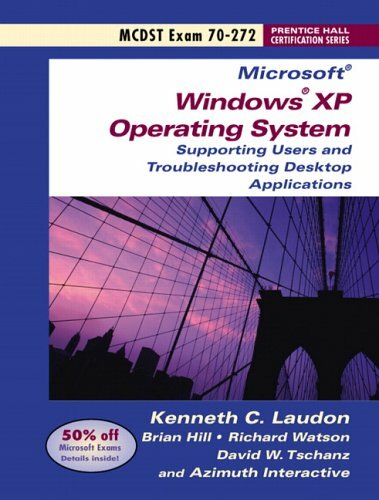 9780131615205 | Pck edition (Prentice Hall, January 15, 2005), cover price $74.67 | About this edition: For courses focusing on Windows Server 2003 and MCSE/MSCA Certification. 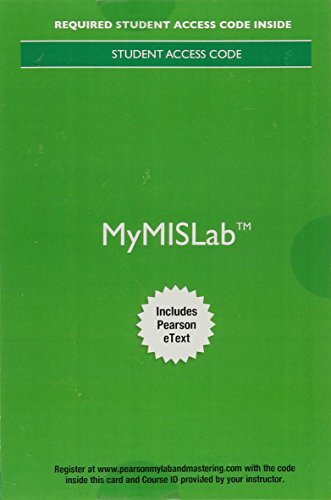 9780131447431 | Pearson College Div, February 1, 2004, cover price $74.67 | About this edition: For courses focusing on Windows Server 2003 and MCSE/MSCA Certification.